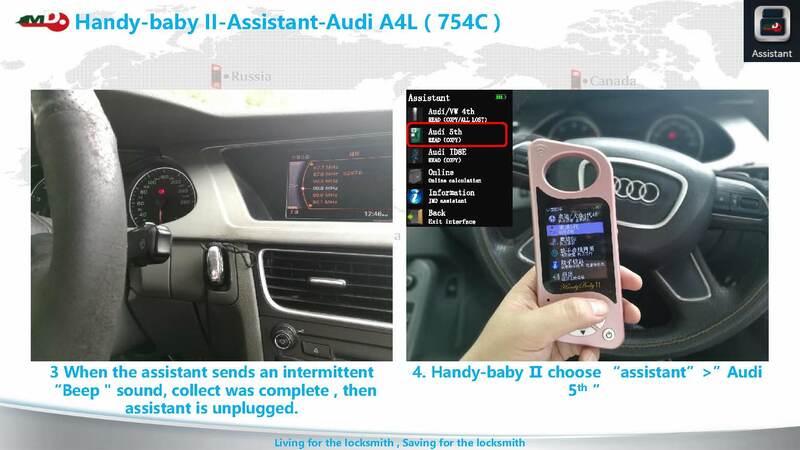 1.How to copy Audi A4L (754C) with Handy Baby II + JMD Assistant? 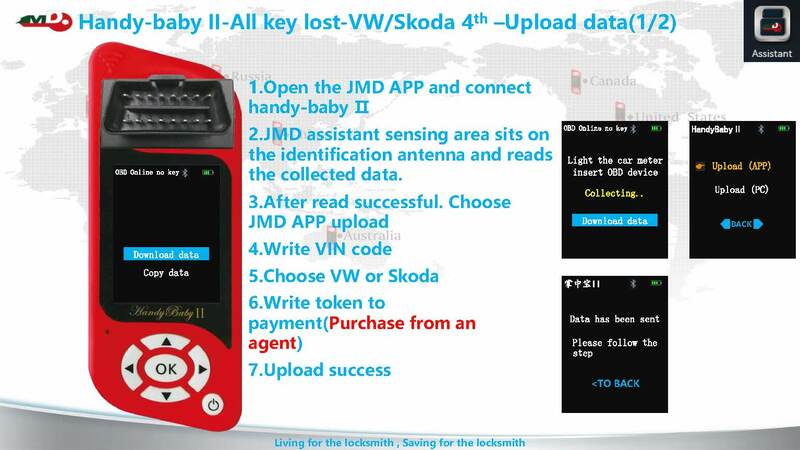 2.VW Skoda 4th all key lost, collect data with Handy Baby II + JMD Assistant. When to use Handy Baby II + JMD Assistant? 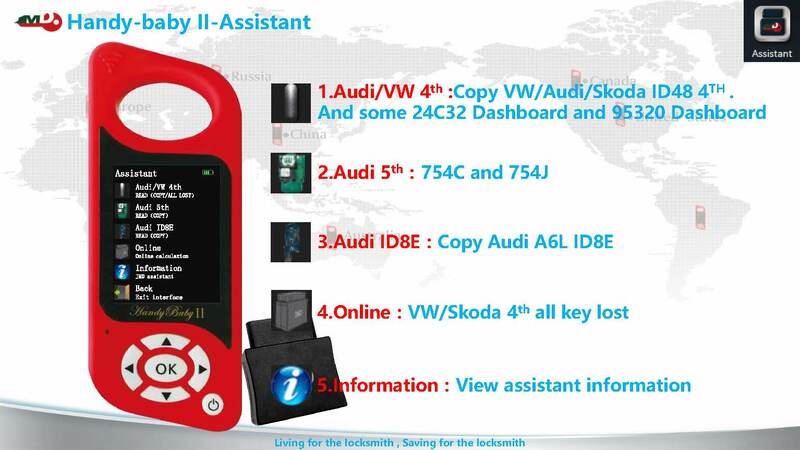 1.Audi /VW 4th: Copy VW/ Audi Skoda ID48 4th. And some 24C32 Dashboard and 95320 dashboard. 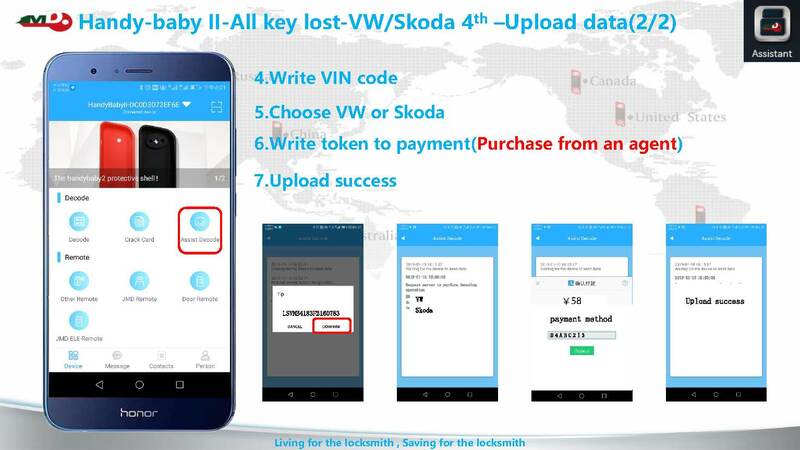 4.Online VW /Skoda 4th all key lost. 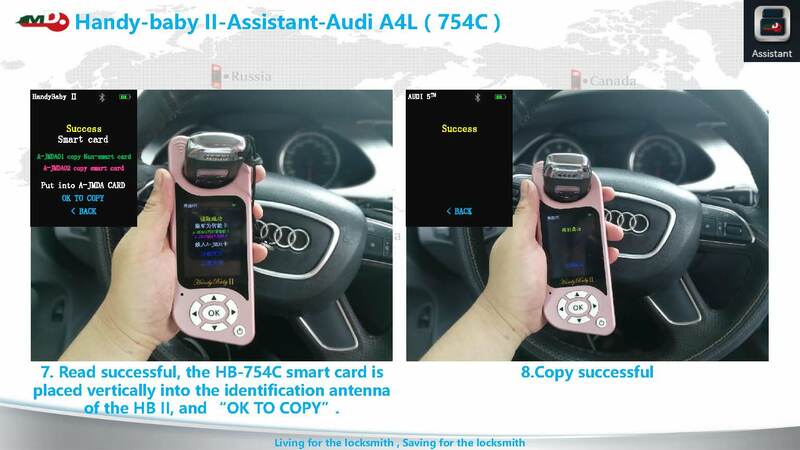 Part 1: How do Handy Baby II + Assistant OBD copy Audi A4L (754C) ? 3.When the assistant sends an intermittent “Beep ” sound, data collection complete, then unplug the JMD assistant. 5.The assistant sensing area put on the HBII identification antenna and Choose “OK” TO READ” to read the collection data. 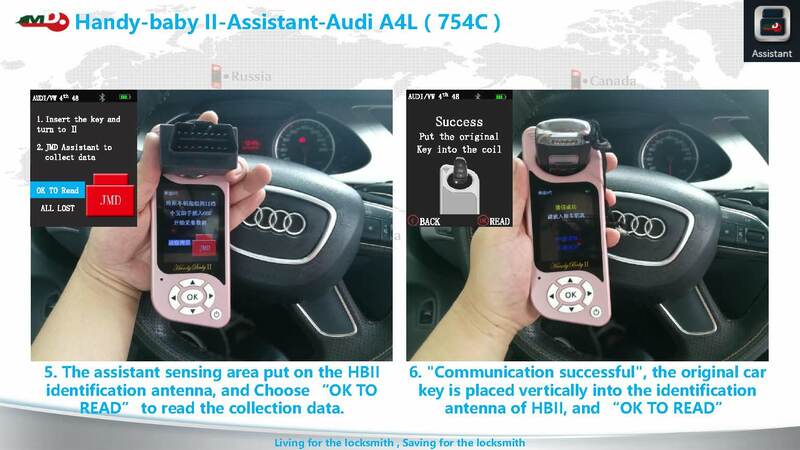 6.”Communication successful”, the original car key is placed vertically into the identification antenna of HBIL and “OK TO READ”. 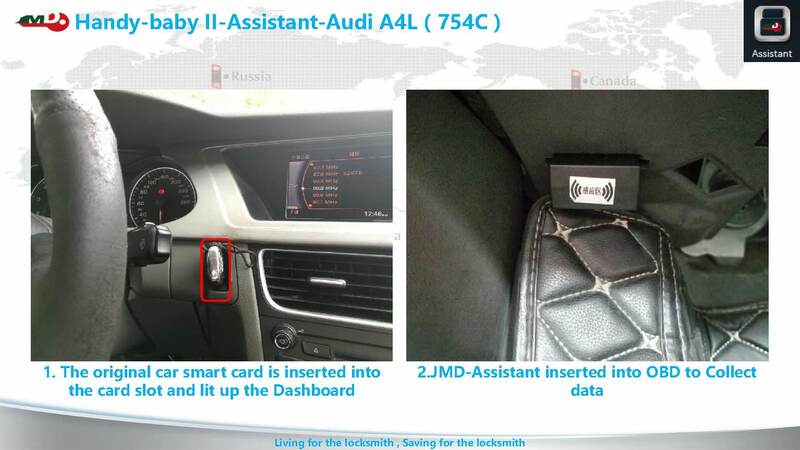 1.Audi 754C/754J smart card copy complete without remote control function? 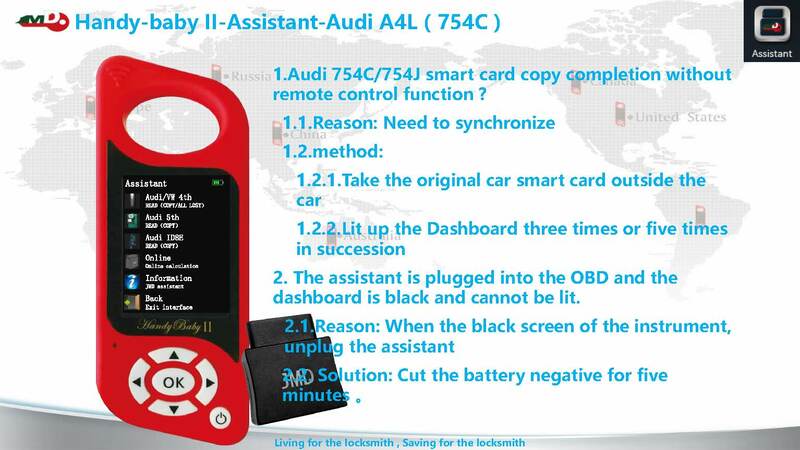 2.The assistant is plugged into the OBD and the dashboard is black and cannot be lit. The remote control (without chip)is inserted into the ignition switch to brighten the meter. 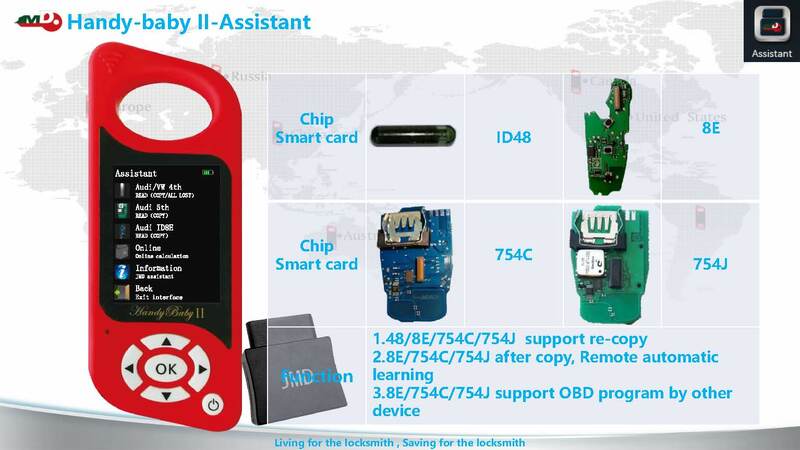 Insert the assistant into the OBD port. When the assistant makes a long beep for 2 seconds and stops for 1 second, the data is collected and unplug the assistant. 1.Open the JMD APP and connect handy-baby MI. 2.JMD assistant sensing area sits on.the identification antenna and reads the collected data. 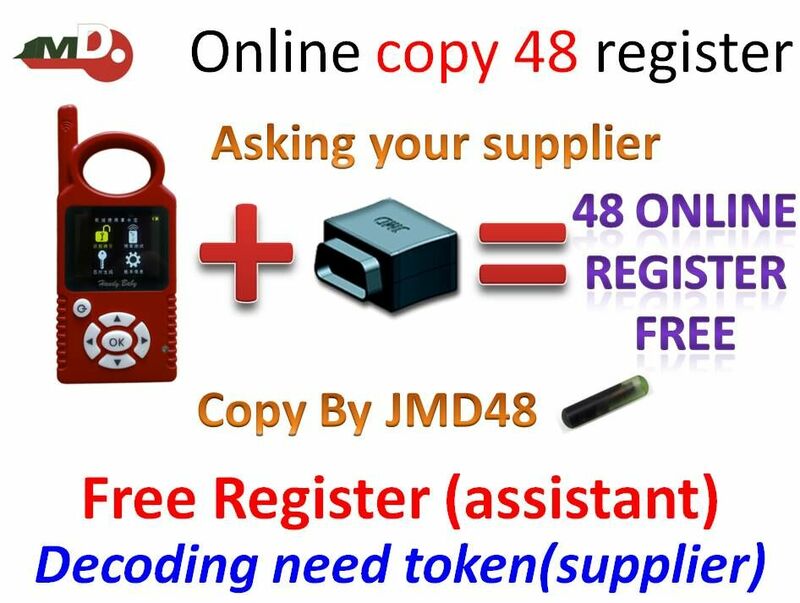 JMD Handy Baby II key copy machine Tutorial Free Download Update! 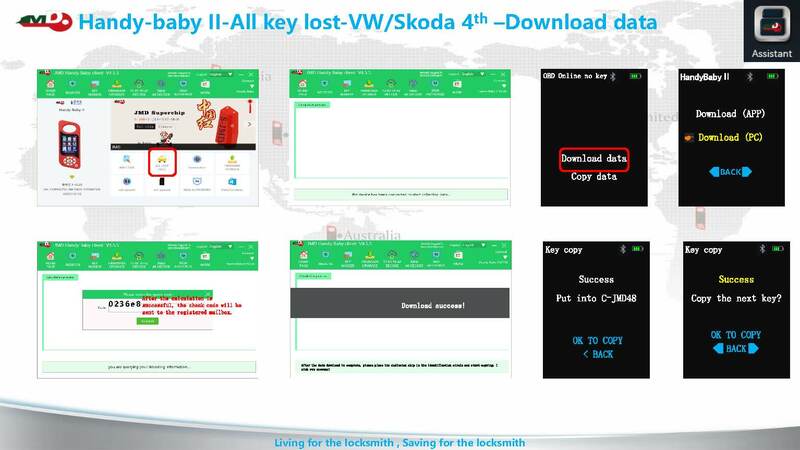 V8.3.0 JMD Handy Baby can clone Audi 4th/5th generation key Free Download Handy-Baby Car Key Copy v5.20 English Software JMD Handy Baby Update to v9.0.0(client 4.1.8) & Free Download Car key copy: Handy Baby II vs. 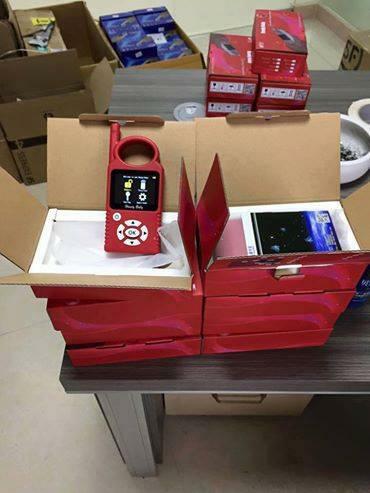 Handy Baby I New JMD Assistant OBD Adapter + Handy Baby read & copy VW ID48 chip key How to online copy VAG 48 96 bit with JMD Handy Baby V8.8.9? 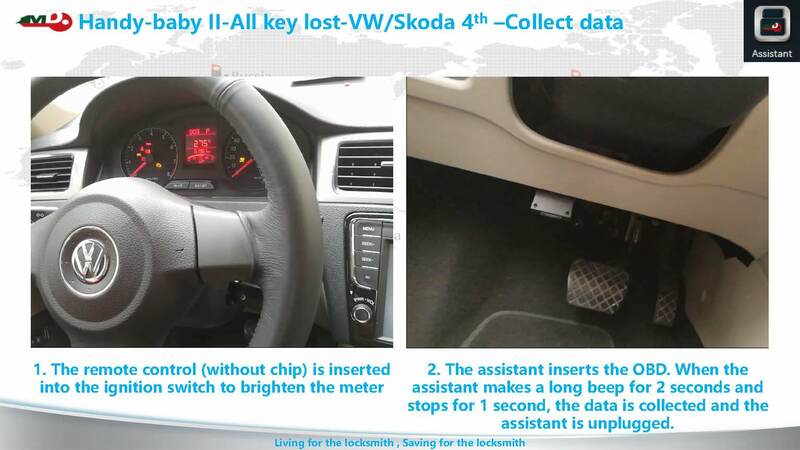 How to use Handy Baby II to copy Toyota /Lexus G key?